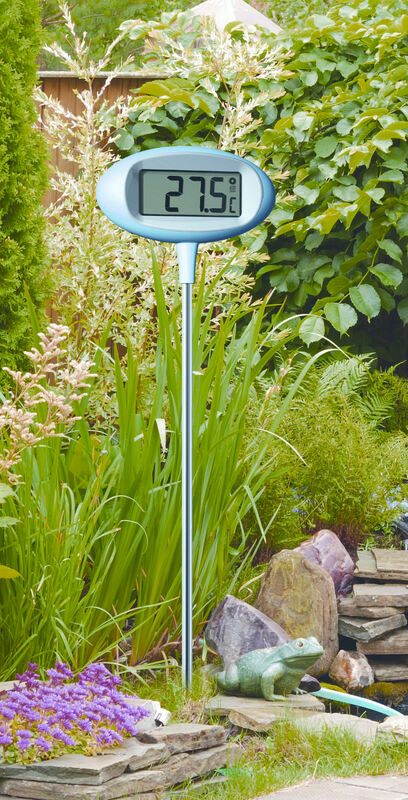 ORION is not only an innovative garden thermometer, but also a digital garden clock. How often do you want to quickly know the time when you’re doing the gardening or relaxing on a lounger? No more annoying trips to the house. ORION shows the time on the easy-readable display in addition to the current temperature and the highest and lowest values. The decorative garden object amazes with its sophisticated technology. 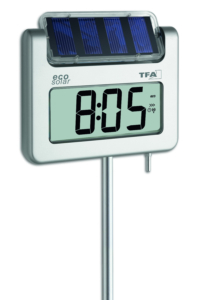 Different combinations can be set for the automatic display of the data. The exceptional, registered design is reminiscent of the 70s retro-style. The separable rod is made of aluminum and is simply inserted into the ground to set it up. 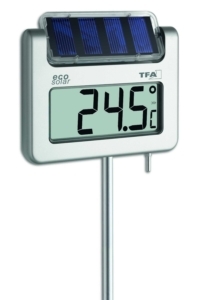 Placing the thermometer in the middle of the garden, and at a height of 1 meter, has the advantage that the temperature values are not distorted by a house wall, and the actual outside temperature is measured. The AA 1.5 V battery for the operation and the display is included.